That’s right ladies, and please try to remember to act like one! According to E! Online, Alexander Skarsgard has landed himself a Calvin Klein modelling campaign that his old buddy Derek Zoolander would be proud of. Surely it’s must be my birthday and Christmas Day all rolled into one? A Calvin Klein fragrance campaign – to be released any day now! I’m sorry but if it’s Obsession or Eternity for Men, someone is going to have to come round to my house and scrap me up off the floor! 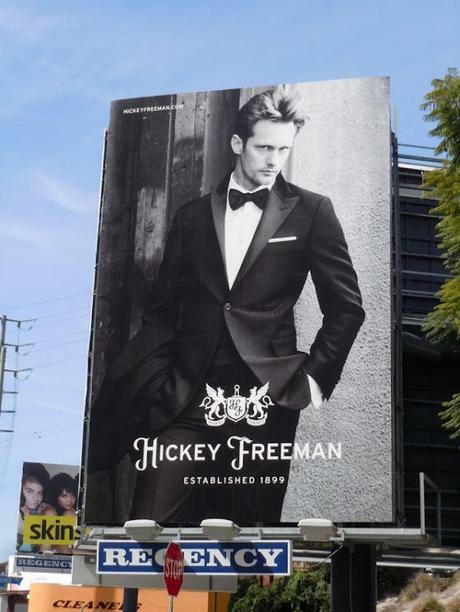 Of course Alex is no stranger to modelling, as his highly successful Hicky Freeman campaign will testify. And don’t worry girls, as soon as we get our sweaty little paws on any of the new Calvin Klein goodies, we’ll share you with them here. Just make sure you have some smelling salts and an ice cold shower at the ready. There will no doubt be skarsgasms aplenty!